I started with a Whisper White panel and stamped the bunch of blossoms in Marina Mist on the bottom corner. 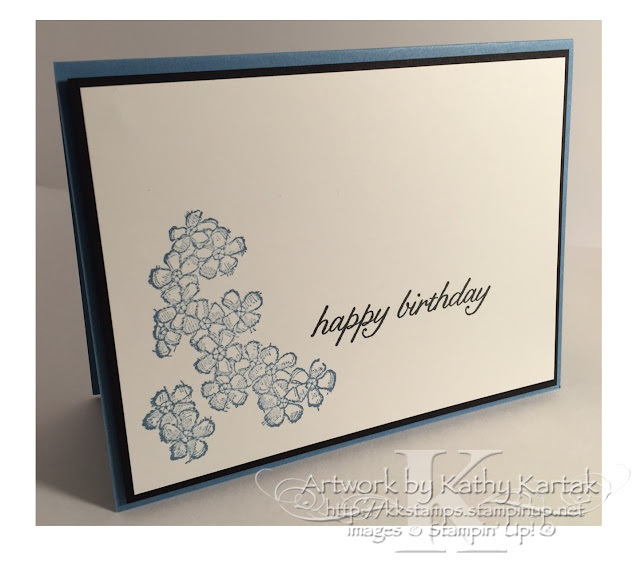 Next, I used my Stamp-a-Ma-Jig to align the "happy birthday" sentiment and stamped this in Memento Tuxedo Black. 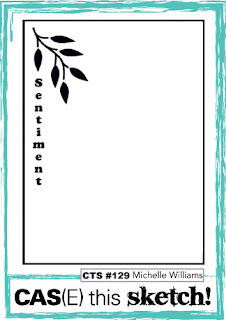 I adhered this to a Basic Black mat and then used Stampin' Dimensionals to adhere it onto a Marina Mist card base--and that was it! Clean and simple and quick and easy! !